Should I pack food or snacks for my child? We will be providing meals and snacks throughout the day for our children. It is not advised for kids to pack food or snacks for the convention. A full list of what to bring is provided on the website, click here to find it. Can my child bring his electronics or video games? No, electronics and video games are prohibited during the convention. 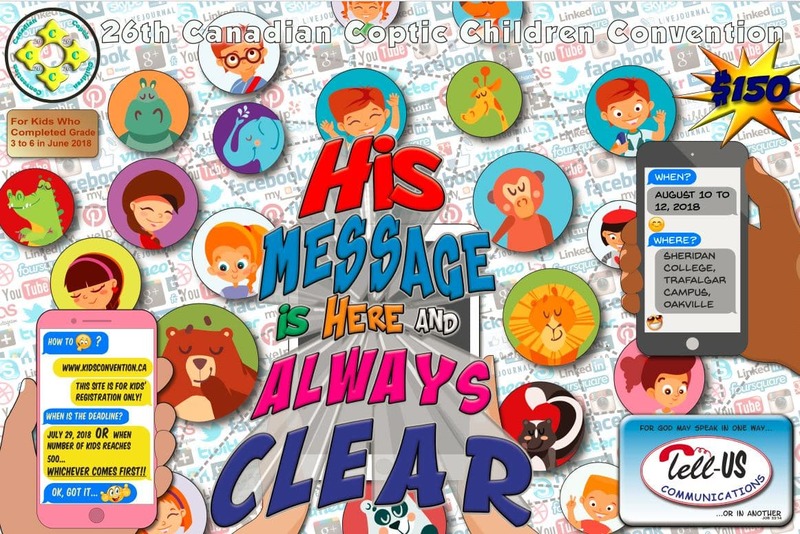 We highly encourage parents to keep their children "electronics free" during the convention, this allows them to experience all the fun components of the convention. Can I take my child out temporarily for a pre-booked appointment? Yes, this should be communicated to the convention coordinators and convention security prior to the convention. Contact us through the contact us form and let us know of the day and time on which this is required. Can I come and visit my child during the convention? No parents visits are allowed during the convention. This is a requirement to enable the security and safety of our children throughout the 3 days of the convention. Unfortunately, no registration will be permitted after the deadline has passed. 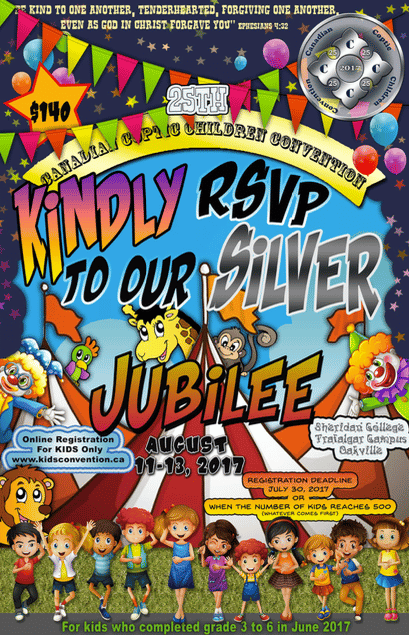 Please ensure to register before that date to secure your space at this year's kids convention. Can I register at my church or with my Sunday School servants? Registration is online only this year, this will facilitate the data entry and reliability of the registration. It is quite simple and safe, click here to register online. Please do not hesitate to contact us if you have any questions or concerns.